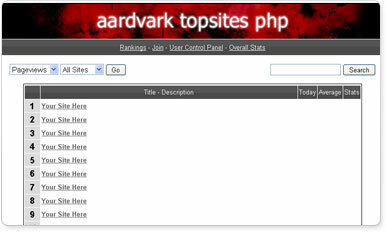 Aardvark Topsites PHP is a free topsites script built on PHP and MySQL. A topsites list ranks a group of related sites by popularity. Webmasters join the topsites list and are given a button to put on their site and link back to the topsites list.